I live in an old house. I’m in Southern California, so not that old like New England, or like, Rome. Ok, actually it’s only 50 years old so by those standards it’s pretty new. But anyways, when the house was bought it included things like appliances, and central air; these too were all old. 1980’s kinda old. And since they all did their jobs without much complaint not many were replaced. As the decade wore on they slowly started to die and everything now except the air conditioning unit, which is over 30 years old, has been replaced. This beast makes me tremble when the summer electric bill statement appears. I know the bill will be high. It’s always high this time of year. However, this thing just WILL.NOT.DIE. Every summer, usually when we hit peak highs and the thing is running 24/7, it breaks down. Home insurance gets called, 3 to 5 days later the machine is up and running again. Repeat the next summer. I keep waiting for the repair man to finally come over and tell us, Sorry, this unit is done for and the home insurance to cough up the money to replace it. Because really, we’re not spending 10k+ ourselves on a whole new unit anytime soon. So when it gets this hot out, I simultaneously hope that it won’t blow out on us and cause the internal temperature of the house to go over 90 (that has happened to us a few times now) and also sorta want it to just DIE ALREADY so we can get a new, energy efficient model. The joys of home ownership…oy! Well, I don’t know whether to chalk these scorching summer days up to climate change or just admit that Los Angeles is the desert and this is part of the package you get when you move here. Sure, you get warm, sunny days in January, but then you have to take those 100+° days in the summer (and early Fall). 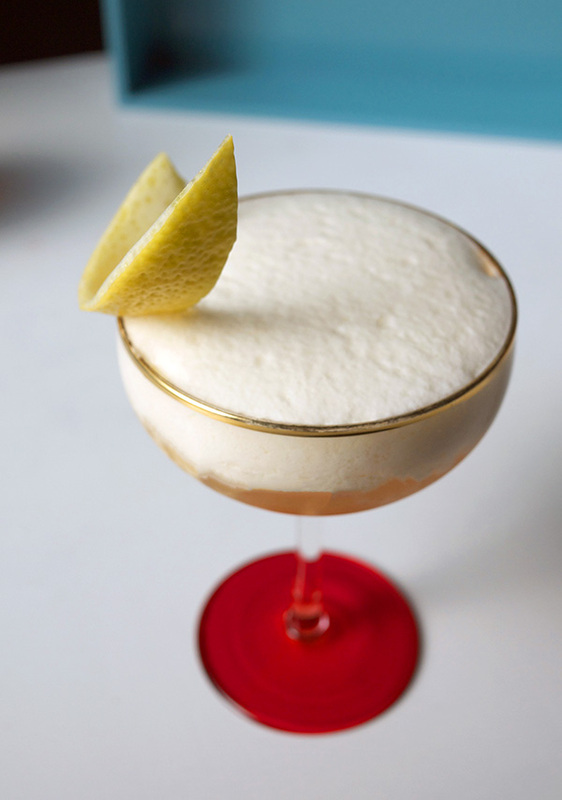 To help ease these heat-aches, I partnered with The House of Angostura for a chilly, boozy treat this week (and yes, just in time for #NationalIceCreamDay on 7/15). Did you grow up eating/drinking ice cream floats? We didn’t get them all too often, but I do recall stopping by an A&W when I was a kid and having a root beer float. In retrospect, whichever family member took me and my sister there and gave two small children ice cream floats in the car to eat was a rather brave soul. Today we’re not only refining that childhood treat with some black cherry soda and super premium vanilla ice cream, we’re also adding in RUM. And bitters. And Luxardo cherries! All the good adult stuff but with enough kid stuff to still have a whiff of nostalgia. The Angostura 7 Year Rum has lots of cinnamon and vanilla flavors that make it a great match for this boozy adult treat. I’ve added in the Angostura Bitters and their Orange Bitters to punch up the spice of the cherry soda and to cut through some of the sweetness. The orange aroma in the nose is an unexpected and pleasant surprise when you take your first sip. For something so fun like an adult ice cream float, I found this combination to be much more complex with lots of subtle flavors. It was also a great way to forget about the heat for just a little bit too. Fingers crossed that air conditioner makes it through one more summer. Ready to dive into your own float? Let’s make one! In a mixing glass filled with ice, pour in rum and bitters. Stir to chill 20 seconds and strain into a soda glass. Add ice cream to glass and top with black cherry soda. Dash orange bitters on top and garnish with orange slice and cherries. This post was made in partnership with Exotico Tequila. Recipe and ideas are my own. We’re heading into full-on holiday mode today folks. You’ve given yourself permission to eat all of Santa’s cookies. You’ve said yes one too many times to the egg nog at your company’s holiday party. You may have already put the batteries in your kid’s toy car they’ve been asking for and took it for a spin around the basement. It’s a bit hazy whether you’re on the naughty or nice list. You might be thinking that you’ve got at least a week or so before you need to start questioning your life choices. So, I’m here to offer you a cocktail that’s on both lists; it’s a little naughty and a little nice. We’ve partnered with the award winning Exotico Tequila again this week to bring you this refreshing cocktail that will make you feel good for a number of reasons. 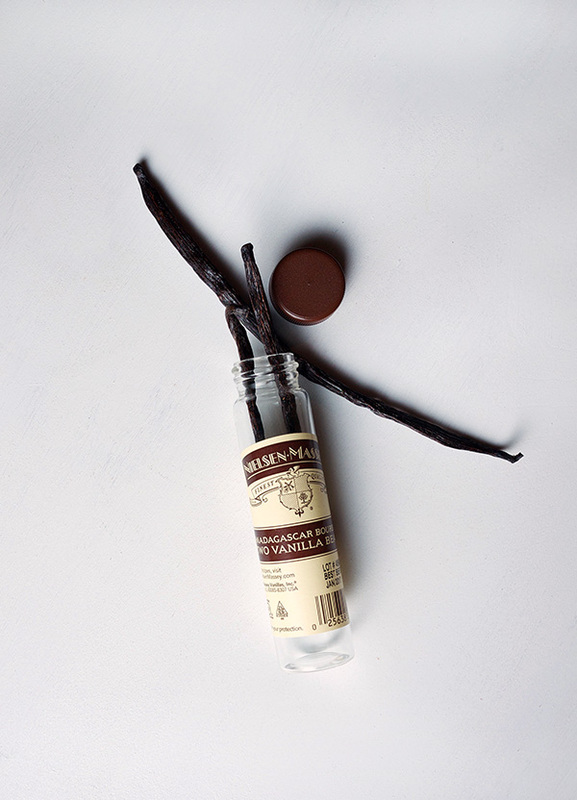 Their reposado expression, made with 100% blue agave, is a fantastic base for: chocolate! Reishi mushrooms! Kombucha! What what what??? See, we’re balancing the good for you with gooooood for you. Sound a little crazy? Well, putting all the health benefits aside (like aiding in digestion, a good source of probiotics, its detoxing benefits, etc…) I will tell you that Kombucha makes a great mixer. 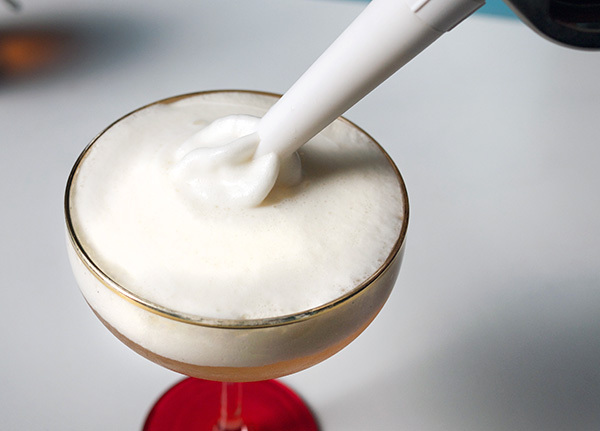 It’s my favorite addition to cocktails because it adds bubbles and a little sweetness to a drink. The reposado Exotico has a lot of warm, spicy flavors and Health Ade’s Reishi-Chocolate kombucha balances that out with some subtle hints of chocolate and some surprising umami as well (by its own it tastes like a Tootsie roll!). To bring out more of the vanilla in the Exotico I added a splash of Mexican vanilla extract in lieu of a syrup. 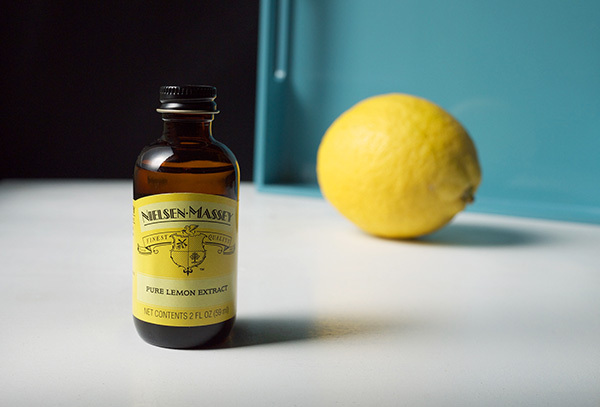 The vanilla extract adds the extra punch without adding more liquid and sweetness to the drink while also introducing some floral aromas too. A good dose of freshly squeezed lime juice rounds out the drink with some needed acid. The taste is similar to a Margarita with hints of chocolate, spice and an herbal/grassy finish. 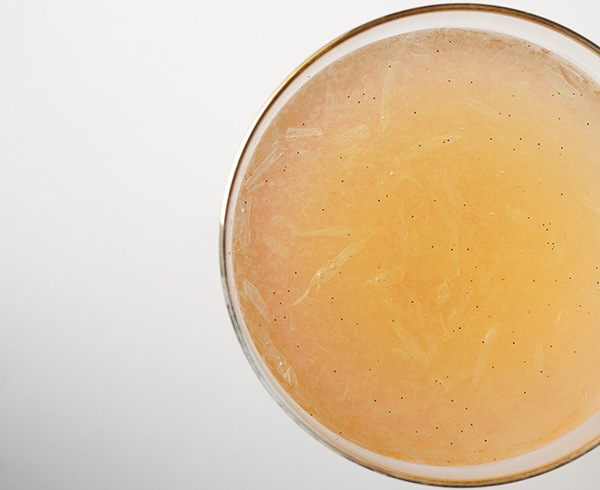 It’s not too late to slow it down and rethink your cocktail choices. You can enjoy a drink this holiday season that not only tastes good, but also has ingredients you can feel good about. Build the drink: in a rocks glass filled 2/3 with ice, pour in Exotico Reposado Tequila, lime juice, Mexican vanilla extract and Health-Ade Reishi-Chocolate Kombucha. Stir gently to combine. Express lime zest over drink and garnish. For more information on Exotico Tequila, please visit them at exoticotequila.com. This post is brought to you by Everclear. Recipes and ideas are my own. Figs were never eaten around my house growing up. Unless you count that ubiquitous yellow box of cookies that I feel every 80’s parent was forcing on their kid because it might be seen as healthy. Fig Newtons were so weird. They had those crunchy bits and they weren’t that sweet, and yet they were called cookies. I probably couldn’t recognize a fig until I reached my twenties when I started working for a company that imported gourmet food. And then came the chocolate covered figs at holiday time. OH man–SO many people calling asking for those. The figs were not just covered in chocolate, they were enrobed. Which somehow just that word made them the most sexiest thing on the shelf. Enrobed in chocolate… I’d like to be enrobed in chocolate. So, one word of marketing and suddenly figs were a delicacy, not an unidentifiable fruit. Now they’re a common farmer’s market item. They’ve lost a little of their sultry shine but I still find them a touch exotic. And this past week I received a whole basket of them in our CSA box and decided they were ripe for a cocktail. Today I’m mixing up this cocktail with Everclear as part of their Make It Your Own campaign. We’ve been using Everclear on the site for years to make everything from infusions to liqueurs to tinctures. And now we’re using it to make cocktails too! Let’s be clear, Everclear on its own is 190 proof, but when you mix it with non-proof ingredients like syrup and water, then the final proof will significantly reduce. Here we’re only looking at a total of 27 to 32 proof depending on how much tonic water you desire–the less tonic the higher the proof. Why mix with Everclear? Because I wanted to taste the ingredients and not so much another liquor flavor in the cocktail this time. It also makes for a stronger cocktail that doesn’t get watered down from the tonic. And what a complex tasting cocktail this is! Letting the muddled figs steep in the Everclear for a bit makes the honeyed juice more prominent. Then to complement the figgy flavor, I created a vanilla syrup that gets some extra warming spice from black pepper, green cardamom, star anise and cloves. The vanilla really comes through but is much more complex in flavor from this spice blend. 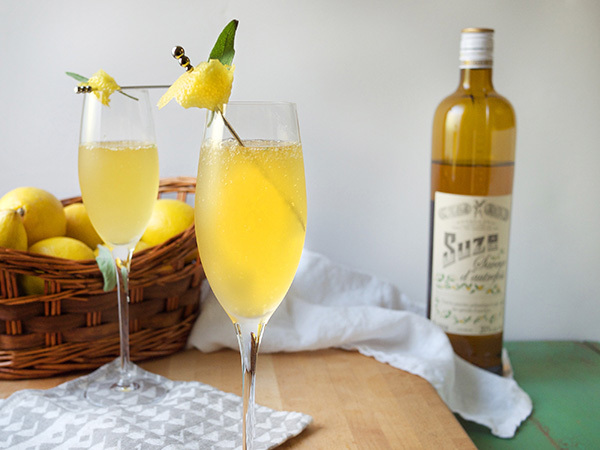 To offset some of the sweetness, a good dose of tonic water incorporates some bitterness into the cocktail while its effervescent bubbles distribute the flavors and bring out some aroma to your nose. 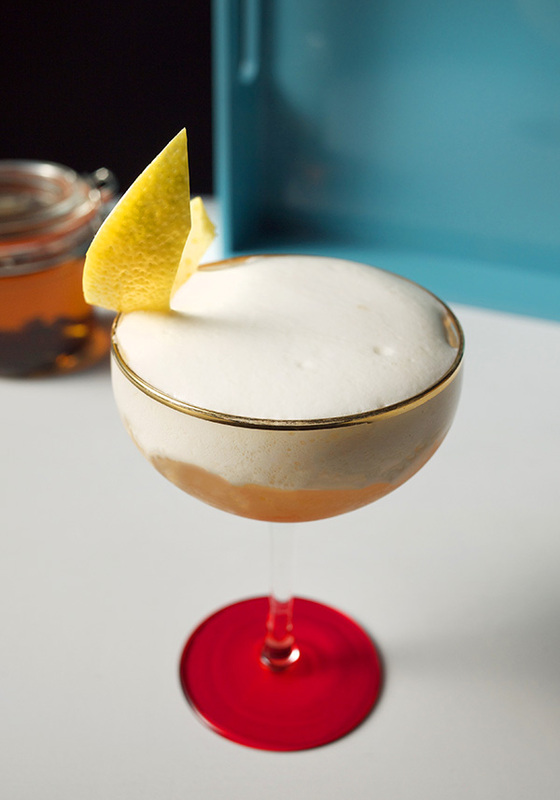 The resulting cocktail is complex and yet clean tasting, refreshing and packs a punch. Ready to try one out? In the bottom of a shaker, muddle Everclear and figs. Let steep for 5 minutes. Add syrup and ice and shake for 20 seconds. Strain into a collins glass filled with fresh ice. Top with tonic water. Garnish with fig slice. Scrape seeds from the vanilla pieces and add to a small sauce pan. Then add in the vanilla pieces, peppercorns, cardamom pods, star anise, cloves, sugar and water. Stir to combine and turn heat to high. Bring to just a boil and lower heat to a simmer for 10 minutes. After 10 minutes, remove from heat and let cool. 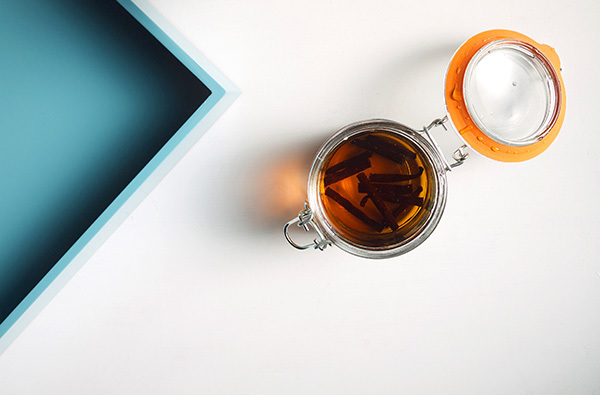 Once cool, strain syrup into an airtight container. Syrup will keep up to one month in the refrigerator.